The steel cage match had a long history with the company from the days of Bruno Sammartino. It got an overhaul during the Rock-N-Wrestling days with the big blue cage, which was the company standard for more than a decade. 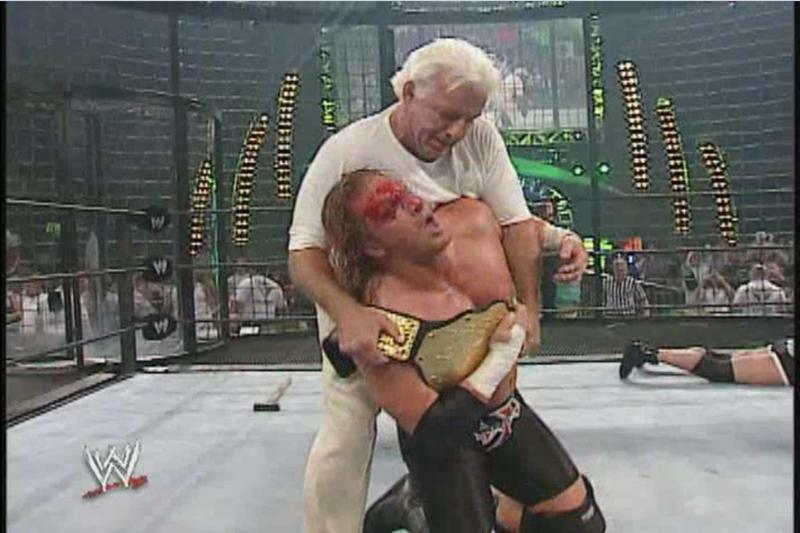 In 1997, they brought in the "Hell in the Cell" cage, which raised the bar for years. By 2002, the WWE was still in a steady business decline. The Survivor Series, considered one of the big four shows in years past, was given a big new gimmick match. The backstory was that Raw GM Eric Bischoff was creating a dangerous new match (and it proved to be just that), although in reality Triple H has been credited for the idea. A multi-person match, in an oversized cage, where entrants come in at intervals and need to be eliminated one-by-one. Since its debut, the WWE has offered two dozen Elimination Chamber matches across their different brands as well as tag team and women's versions. In 2010, the match got its own pay-per-view and started offering multiple Elimination Chamber matches per show, which has degraded the prestige and quality of the match.